Viv Albertine was in the legendary late 70’s band The Slits. Her band were original, interesting, scary, extremely talented and outrageous. 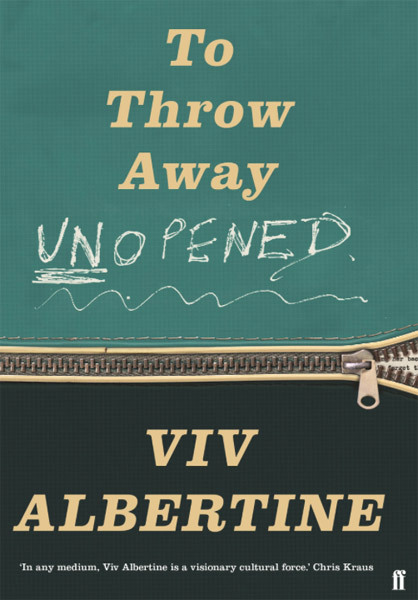 Viv has gone on to make films, become a mother after many rounds of IVF, survive cancer and write 2 great books. Her first book ‘Clothes Clothes Clothes Music Music Music Boys Boys Boys’ is mainly about her time during the punk years. Viv had to leave the official book launch for her first book as she got a phone call that her 95 year old mother was dying. The book became a best seller and documented her passion for being a female band member in a male dominated music industry as well as shocking people with their untypical female energy. It was all about female empowerment and Viv’s second book shows us where she got her courage and nerve from. Each chapter starts with a paragraph in bold text recalling the effects on her before and after her mother’s death in hospital. The paragraphs tell the ongoing story throughout the book how Viv and her sister Pascale have an unfortunate, but necessary to Viv, literal, bloody brawl on Kathleen’s deathbed. Viv won’t back down to her sister Pascale who is selfish and violently attacks Viv drawing blood. Viv finally throws a glass at her which causes Pascale to flee. Viv admits that she is ashamed of some of her character traits like a lack of tact and a short temper but she is brutally honest in sharing this with the reader. The honesty in the book is powerful, raw and refreshing. Viv Albertine’s mother Kathleen was the product of a time when women were oppressed and subdued and supposed to be submissive and wifely. Not many women challenged this misogynistic attitude as it was just ‘normal’. 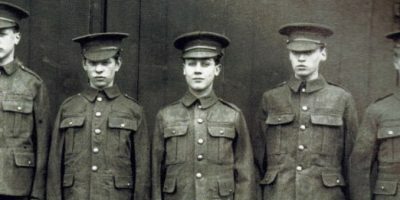 Viv writes about how after the war women couldn’t get jobs and would have to remove their wedding rings and lie to get employment. She goes on to say that women were non entities which made her mother an angry person but having to suppress it as in those days you shouldn’t express your feelings about being invisible. Viv herself admits an intolerance to domineering men. She mentions that in the 60’s and 70’s it was impossible to walk past a group of builders without being verbally assaulted. Fortunately this behaviour usually gets challenged now. Viv’s father Lucien was a cruel, trouble making bully who treated his wife and the family appallingly. Viv tells us about her mother being forced by her husband to give her first born son 8 year old David away to her first husband to raise or Lucien wouldn’t stay with her. Viv writes about living in a house with an intense and frightening atmosphere as her father hit her mother and tried to control everything. Seeing this kind of oppressive, dysfunctional behaviour helped Viv develop into a determined, free woman with a full liberated life. She was never going to settle for a resigned life like her mum. Viv is in awe of Kathleen as she helps her to be powerful and brave and to take risks and have adventures even if these often led to disasters. Her mother was determined that Viv was going to really live and never end up like her. Kathleen constantly gave her daughter good advice and encouragement to be truly herself. Viv also has a daughter Vida who she dotes on and is a major character in the book. Viv experiences very watchful and magnified emotions all the time throughout her life and concludes that she as well as others in her family are on the autistic spectrum. She admits she is an outsider misfit and a bit of a loner but still gets very lonely. Her father dies and Viv clears his flat taking his diaries which describe his hatred for his wife. He is also nasty about Viv and her sister. Viv never had a huge amount of affection for him. 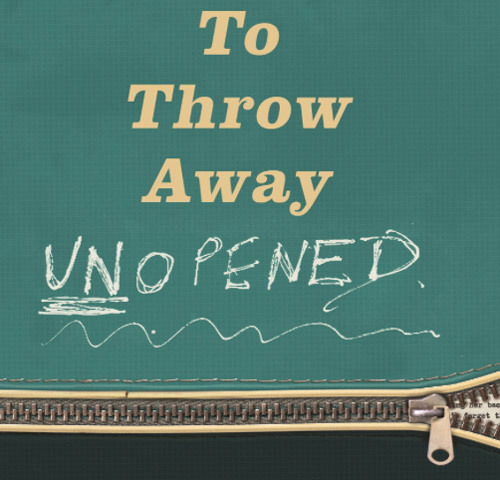 After her mum’s death she is left to clear her home and she finds a bag with the words “To throw away unopened”. Obviously she doesn’t resist reading the contents of her mother’s diary or we wouldn’t have the title of the book! Here are all the stories of how her mum was bullied and treated cruelly by her husband. It was written to be used in evidence for her divorce along with her solicitor’s letters. Viv was 11 years old when her parents finally got divorced. “Maybe now I was strong enough to fight back. I felt empowered. Building muscle and keeping fit felt like a radical act”. I actually went to Viv’s aerobics class in Pineapple studios in Covent Garden, London in the early 80’s. She had a ghetto blaster playing very loud New York Hip Hop tunes..ground breaking at the time. A lot of us females around Viv’s age can fully comprehend her story. We were the first generation of women to mostly refuse the gender roles our mothers took on. A lot of what Viv has written is so familiar to me and brought up a lot of memories. I found the book an extremely well written, emotional and harrowing read. It is good to see that things are changing for the better for women but we still have a long way to go. Kathleen was Viv’s best friend and the love she has for her mother is uplifting. Her mother really inspired her and made her who she is. The book is a testament to a mother’s love for her child and a determination to make her daughter’s life so much better than her own and in that she succeeds.